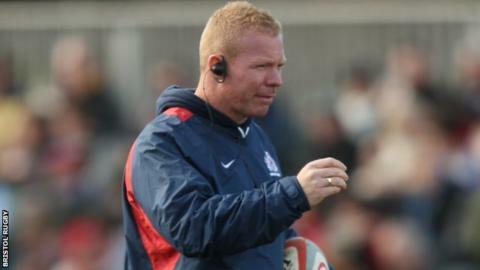 Bristol head coach Liam Middleton says Sunday's 50-31 defeat by Leeds should be a "wake-up call" for his players. "It's got to be, but we shouldn't have put ourselves in a position where we needed one," he told BBC Radio Bristol. The West country outfit scored five second-half tries but were unable to recoup on a poor first-half display, in which Leeds took a 27-0 lead. "This competition shows that if you're not on your best game then you're going to get punished," he added. "There was nothing positive about our game. "It wasn't a technical or tactile problem, it was a mental issue. We didn't bring enough desperation or pride in our shirt. "A lot of what we did went against our values. That wasn't an honest performance and we can only look at ourselves there." The result leaves Bristol eighth in the Championship, having picked up nine points from four games. In previous years, their current position would see them occupy the final play-off spot, but a change to the league's format for this season means only the top four clubs will contest a Premiership place. And although it is early in the campaign, Middleton says his side must start pushing up the table. "Some teams have picked up bonus points, to cover for a few losses here and there, and we've got some work to do," he added. "The pressure is on us and our guys are going to have to respond in the right way." Several first-team players have been absent in recent weeks because of injury, but Middleton says it cannot be used as an excuse. "It's irrelevant - we were good enough to win the game," he concluded. "I don't think putting two or three players in to the squad would have changed it. It was a collective group of 15 players who weren't on the money."